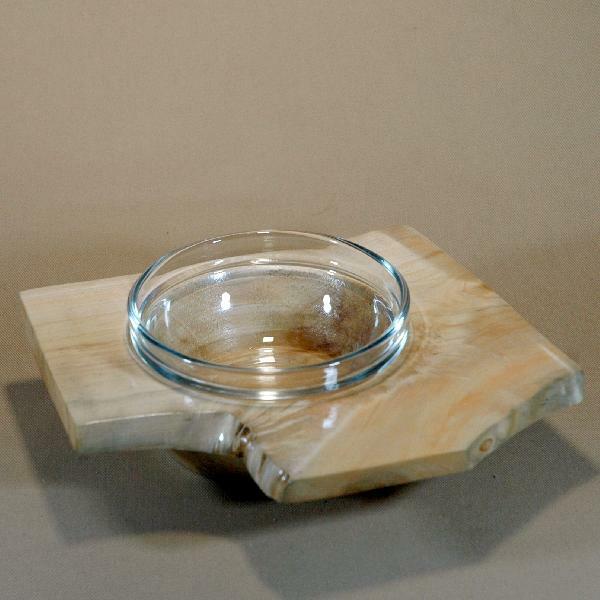 Base of maple wood, bowl of glass. Size, mm: 50 x 160 x 140 (height x length x width), glass bowl diameter 90 mm. Due to the glass bowl on the inside this small vase can be also used as a saucer, plate or an ashtray. An original piece of tableware.